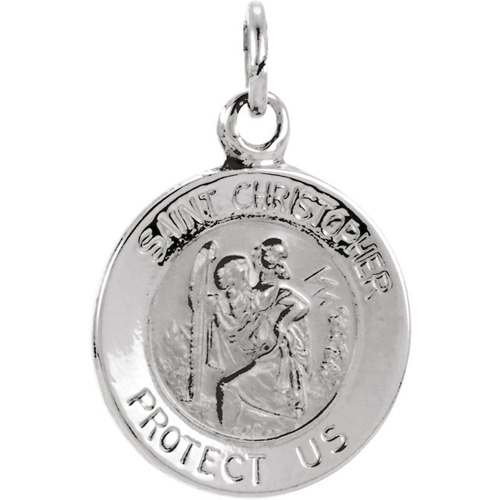 This petite round St Christopher medal is made of polished 14k white gold. Dimensions: 15mm in diameter. This medal is smaller than a dime. SAINT CHRISTOPHER PROTECT US. 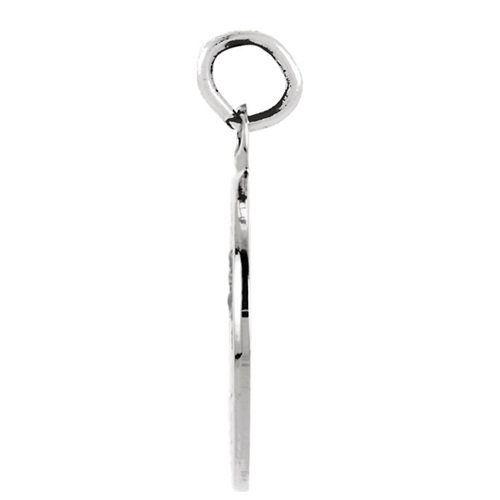 The jump ring measures 1.7x2.0mm. We recommend a chain no wider than 1.5mm. Weighs 1.25 grams. Please note: weight is approximate, actual weight may vary. Chain not included.